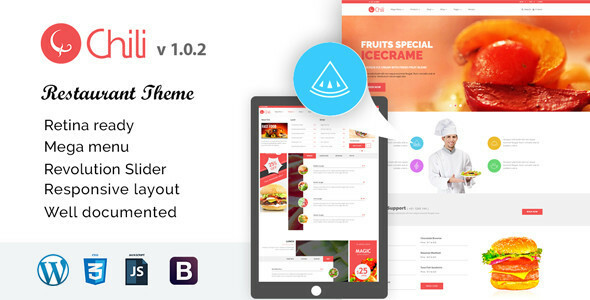 Redchili is a fully responsive retina ready WordPress restaurant theme. It is based on bootstrap 3.3.5. The main purpose of this theme is to make a complete restaurant & cafe website. It has so many feature including Woocommerce shop and multilingual support. So, itâ€™s perfect for any kind of restaurant business.